Earn up to 40% monthly commission for every paying customer referred by your unique link! Sell a tool your customers will actually use. They would love you for it! 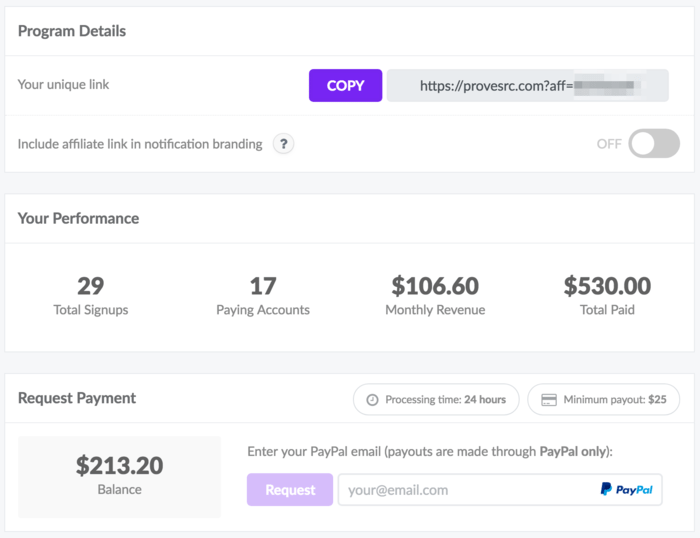 Easily understand how many users have signed up, what's your account balance and ask for a payout. More than +4,200 customers trust ProveSource. 15 million notifications are shown every day. Our customers reported 17.4% increase in conversions. Agencies, developers, marketers and designers around the world are turning to ProveSource to drive better results and increase conversion rates for their customers using social proof.